Garden Village is a residential development of single family homes which national builder D.R. Horton started pre-selling sometime in the summer of 2018, well in time to help fill a thin inventory of Sarasota homes for sale. This neighborhood is conveniently located within the southwest quadrant of Cattlemen Road and Sawgrass Road just a short distance east of Interstate 75. Its site spreads less than a mile south of Fruitville Road and about the same distance north of Palmer Boulevard, an area that local realtors often recommend to prospective buyers searching for Sarasota’s bedroom communities. The Fort Worth, Texas-based D.R. Horton set Garden Village as a gated community platted for 170 home sites. Prospective buyers can choose from one- or two-story builds in this development batting to replicate the market successes of a slew of local residential projects initiated in the housing recovery after the Great Recession. Garden Village homes for sale are showcases in durability with their all block construction. The lone one-story design that D.R. Horton has programmed for the community comes with a floor area of about 1,500 square feet featuring three bedrooms and two baths plus a two-car garage. Its pricing starts from the high $200s. 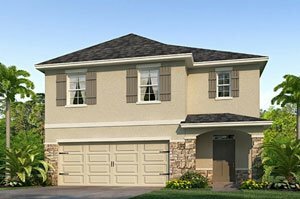 The larger two-story builds offered at Garden Village are in three floor plans which range from approximately 2,000 square feet up to nearly 2,500 square feet. These residences are designed with four to five bedrooms and either with two baths and a half-bath or three baths. Likewise set with two-car garages, these D.R. Horton designs are priced in the $300s‒$400s range. For each home that D.R. Horton builds at Garden Village, it is throwing in a package of energy-efficient stainless steel appliances. The items included are a side-by-side ref, over-the-the range microwave, a self-cleaning smooth top electric range, and dishwasher. Home purchase is also bundled with a covered lanai, a blinds package, washer and dryer, and granite kitchen countertops. That its development is a CDD-free community with low HOA fees are added deal-sweeteners that D.R. Horton flaunts on its Garden Village builds. The builder provides a limited warranty on its homes and a ten-year structural homeowner warranty by an independent warranty. Proximity to Fruitville Road, which is less than a mile north of Garden Village, brings an added sales pitch for its residences. This vibrant corridor running east to west is lined with various business and retail hubs. Additionally, it is one of the major gateways to downtown Sarasota which teems with myriads of life and leisure facilities, as well as job and career opportunities. The nearby Interstate 75 brings a similar advantage, as it enables local residents to access life and leisure opportunities in the north at the Mall at University Town Center. Public recreational facilities are easily accessible as well from Garden Village. 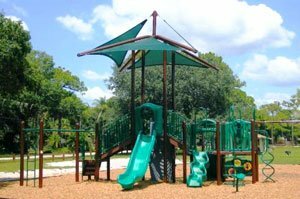 These local points of interest include the 23-acre Fruitville Park popular for its soccer and softball fields, tennis courts, fitness trail and playground. Palmer Boulevard just east of Garden Village leads to the 360-acre Celery Fields popular not only for walking, running, biking, and horse riding. This park is likewise a great destination for bird-watching and kite flying. Many golf courses and the white-sand beaches of Siesta Key are likewise within easy reach from this community, thus further boosting its entry into the Sarasota real estate market. 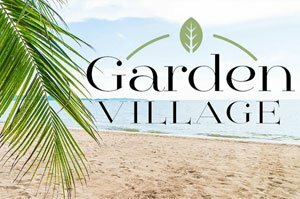 Below are the current real estate listings available at Garden Village.